CStorePro is everything you need to manage 1, 10, even 50+ stores and gas stations in one easy-to-use package. I've tried other systems before, but CStorePro is the most user friendly, technologically advanced and intuitive, for a great price. It's like an ecosystem where everything is in one place, and you don't need to look anywhere else. CStorePro understands the problems I face in my stores and solves each with conviction. One of their strengths is their experience in the industry, and they utilize their knowledge to efficiently address any need, using their extensive platform and solutions. 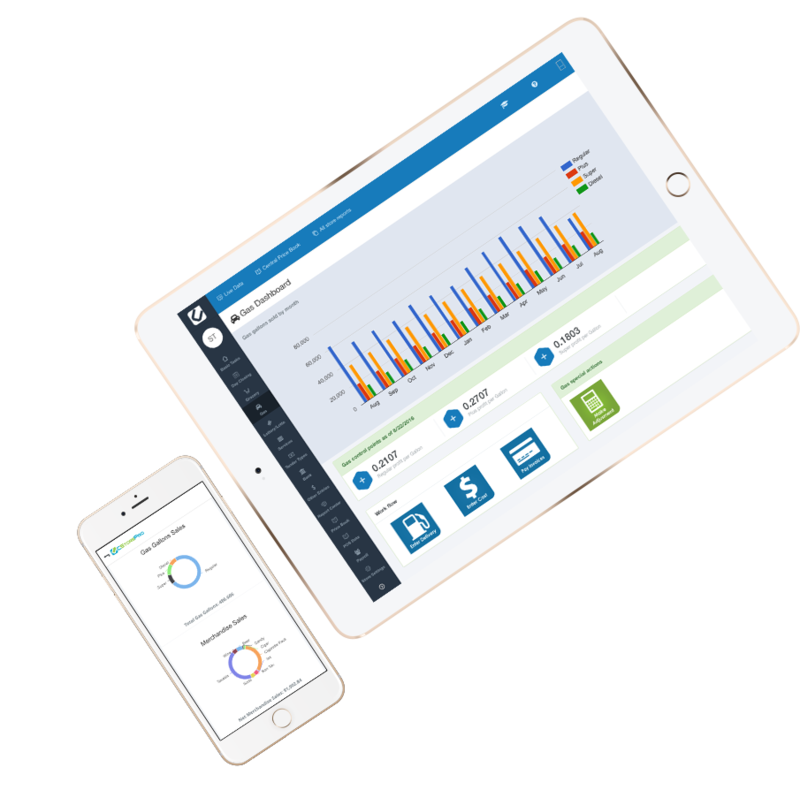 With CStorePro we can see everything that is happening in our stores in real time, and take action, no matter where I am. This allows me to be where I'm needed, and save time and money an a regular basis. lets you control all of your stores from anywhere. means you can get started in just 3 easy steps. lets you watch our videos or set up a demo—all for free. let you grow your business without excessive spending. Now you can know exactly what’s happening at your store without actually being there. CStorePro gives you live data to monitor sales, void transactions, void tickets, refunds, no sales, and manual ring ups--all in real time. Get the full picture on all aspects of your business. 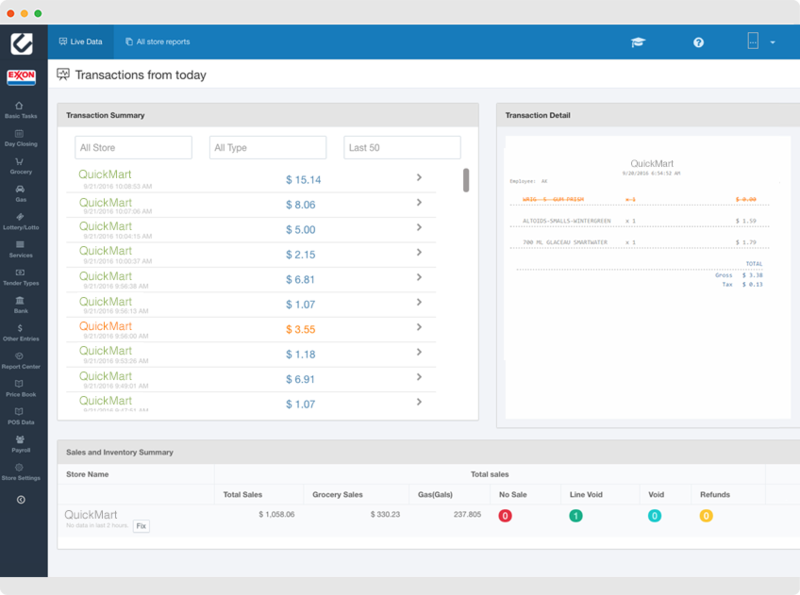 Easily manage price books, get automatic day reports, streamline fuel and lottery operations, manage purchasing and reconciliations--all from one place. Whether you own one store or a chain of stores, CStorePro is the only solution you'll need. 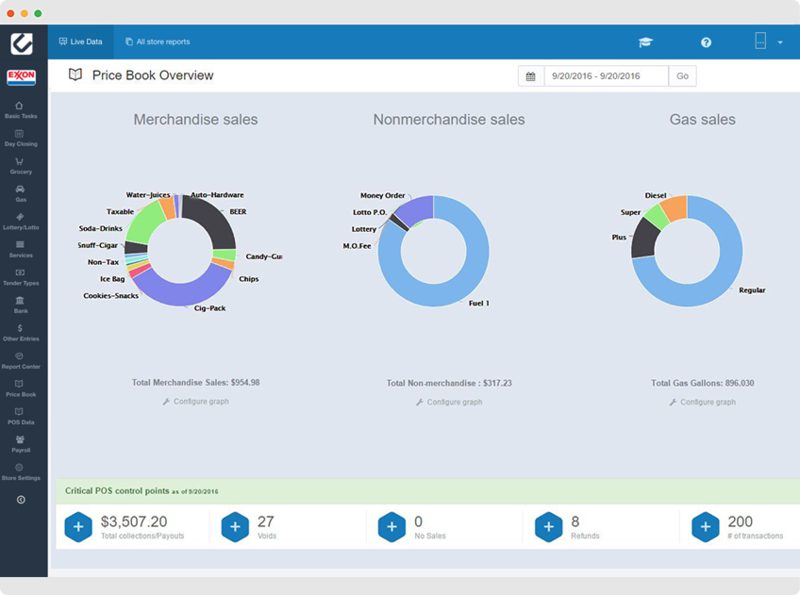 Our powerful multi-store dashboard and reports give you the tools to grow your business confidently.